Castle Rock is the Municipality's newest gem. 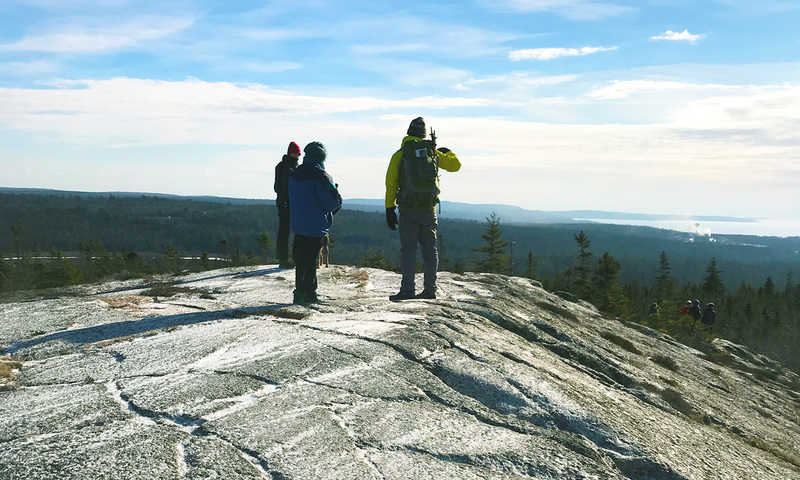 Hike, bike, and ATV to the heights of East River for panoramic views over all of Mahone Bay. Access is from the parking lot near the junction of highways 3 and 329 in East River. From there it is an easy stroll or ride 3.2 km along the Chester Connection Trail (part of the Rum Runners Trail) to the trail-head at the northern end of Labrador Lake. 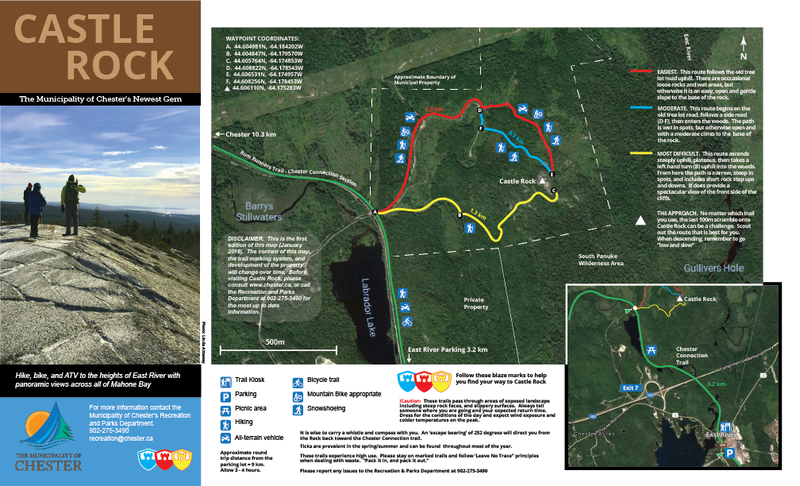 Consult the map below for all the trail details and what you need to know to enjoy Castle Rock. *NOTE: this is the first edition of this map (January 2018). The content of the map, the trail marking system, and development of the property will change over time. 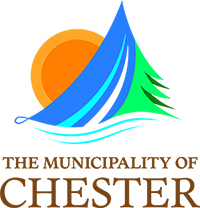 Before visiting Castle Rock please consult www.chester.ca or call us at 902-275-3490 for the most up to date information.